The Abacus Direct Vessini E Series Bath Screens from PlumbNation is from the Abacus Direct Vessini E Series Bath Screens offers the ultimate in affordable luxury. Incorporating a range of walk in shower screens and end panels, bath screens and sliding shower screens. 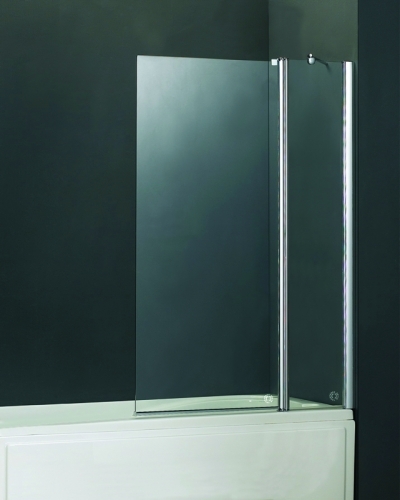 The Abacus Direct Vessini E Series Two Part Bath Screen is available with or without towel bar and is made of 6mm toughened safety glass. The Abacus Direct Vessini E Series Bath Screen comes with ClearShield as standard.